Today we’re releasing Sencha Touch 2.3 with lots of new features, an iOS 7-friendly theme, as well as an exclusive Touch Grid for our product bundles (Sencha Complete and Sencha Touch Bundle). Sencha Touch 2.3 includes 3 new themes: Cupertino (themed for iOS 7), Cupertino Classic (themed for iOS6.x and below), Mountain View (themed for Android), and enhancements to other themes (including BlackBerry 10 upgrades). Sencha Touch 2.3 also integrates Cordova to enable access to more device features, and includes other enhancements. The release of these features takes mobile app development with Sencha frameworks to a whole new level, especially for data-rich applications that access device features. It takes a herculean effort to build themes that look native to your target platform. There is absolutely no doubt that the iOS 7 look-and-feel is the most significant change since the first release of iOS. With the release of iOS 7, everyone wants to get their apps to look native on iOS 7 as soon as possible. 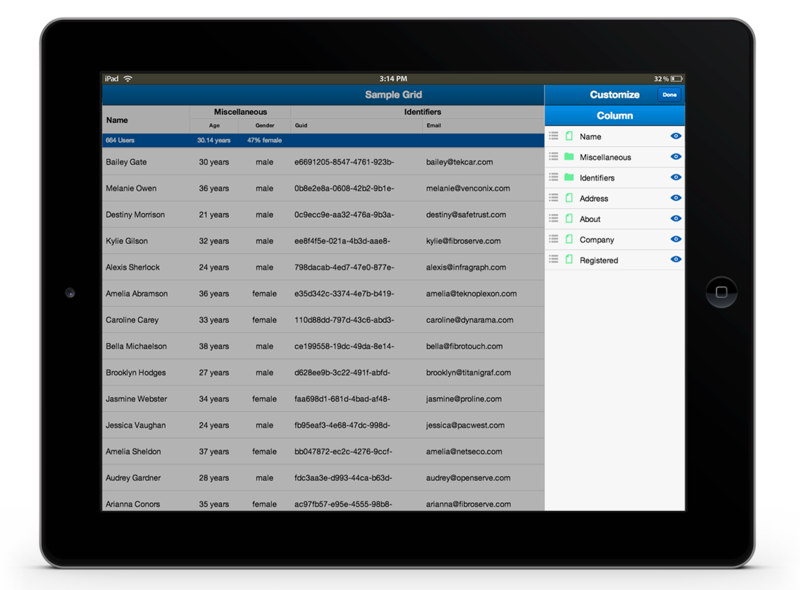 With Sencha Touch 2.3, we are providing out-of-the-box support for iOS 7. You can upgrade your existing iOS apps built with Sencha Touch very quickly, and you can even choose between Cupertino and Cupertino Classic based on the platform version you are targeting with your iOS apps. 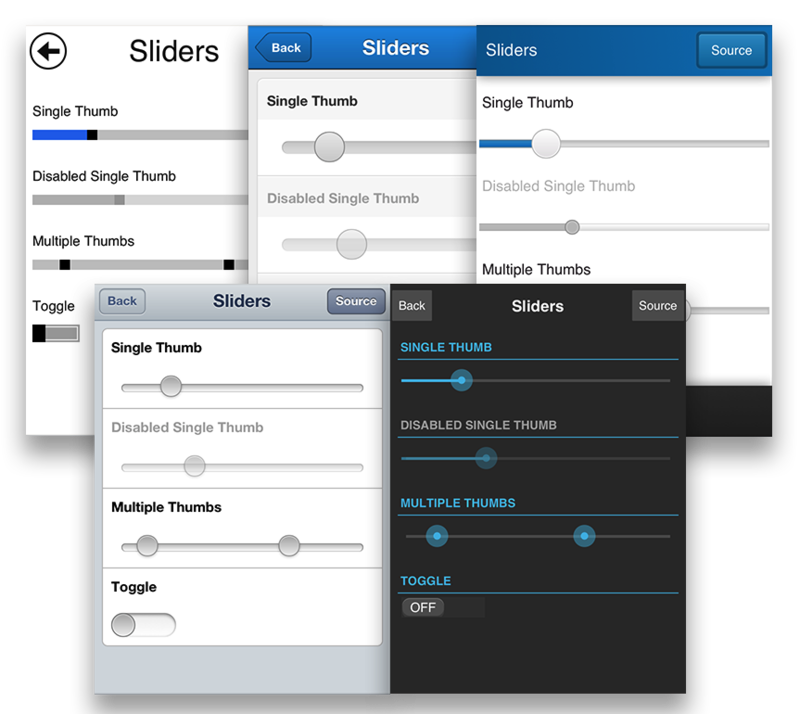 The existing themes for Sencha Touch have received a number of enhancements in version 2.3. We have gone through the Blackberry 10 theme in great detail and enhanced its unique look and feel to match Blackberry 10 specifications exactly. In addition, we have included new themes for iOS and Android: Cupertino Classic (pre-iOS 7 friendly theme) and Mountain View (Android friendly theme). For more information on BlackBerry 10 theme, visit BlackBerry Developer Blog. Themes can be used based on their respective platforms using the theme switching capabilities of Sencha Touch. For more details on BlackBerry 10 development, see the BlackBerry Getting Started guide. Sencha Touch Grid is a highly optimized grid component for touch devices. The Touch Grid makes it easy to fetch, sort, filter, and edit large amounts of data on touch devices. It’s easy to configure each column of the grid as well as customize any column using column renderers. Touch Grid is available as part of Sencha Complete or the Sencha Touch Bundle. In the near term, we’ll be releasing some enhancements to the Touch Grid, including a buffered store. If there’s a feature enhancement you want, please suggest it n the forums to help improve the component. Touch Grid will be supported in Sencha Architect 3 via a User Extension in an upcoming release. The Sencha Touch 2.3 release has new native packaging capabilities for Sencha developers and includes a number of new themes and enhancements. With Touch 2.3, we have made native packaging as seamless as possible. We’ve updated the device APIs and Sencha Cmd to make Apache Cordova a fully supported component. Touch 2.3 supports Cordova APIs for Accelerometer, Camera, Capture, Compass, Connection, Contacts, Device, Events, File, Geolocation, Globalization, InAppBrowser, Media, Notification, Splashscreen, and Storage. In addition, Touch 2.3 supports Adobe PhoneGap Build from within Sencha Cmd 4.0 which can package your application for multiple devices with a single command. We’ve also included a detailed guide for creating native builds on your local machines. Touch 2.3 does not directly support Cordova API plugins such as the Bluetooth plugin, but you can use them in your application by following the directions provided in our guides. Sencha Touch 2.3 also includes full support for XMLHTTPRequest Level 2 (XHR2) on devices that support XHR2. The XHR2 specifications include improved support for files and images as well as access to progress events. We have included a new ProgressIndicator Component in Sencha Touch 2.3 that uses the new XHR2 capability to give users a true indication when working with files. A new Ext.field.File component has been added with capture support on device. With this release, we have done considerable internal refactoring to support the latest Sencha Touch version as well as Cordova integration. The new ant cordova command enables access to Cordova 2.9.0 APIs and packaging. We have also added the new app watch command. app watch runs in the background and automatically handles changes to the common files and continually updates any changes to your project. When changes are detected, only the minimum amount of work necessary is performed to bring your app and its CSS up to date, saving you from having to manually run app refresh or rebuild your SASS. This feature is available for both Touch and Ext JS in Sencha Cmd 4.0. Creating visually compelling mobile applications and making them run fast is hard work for developers. With the release of Sencha Touch 2.3, iOS 7 theme, Sencha Touch Grid, and Cordova support, along with other new themes, delivering the amazing web application experiences becomes that much easier. These enhancements provide a great opportunity for those who are building data rich applications and those who want to provide native-like look-and-feel for iOS, Android and BlackBerry devices. We are very excited about this release and would like to hear about your experiences with these new features. Remember to give us your feedback on the forums, so we can keep improving them for you. Gautam leads product management at Sencha. He is responsible for guiding new product strategies and roadmap initiatives across the Sencha product portfolio. Additionally, Gautam works with strategic partners to establish and develop new market opportunities. Prior to joining Sencha, he held various product and engineering positions at organizations developing SaaS and Business Intelligence applications. Gautam holds a PhD and MS from State University of NY (SUNY) at Buffalo. i´ve been waiting a long time for this version! looks really great!! keep up the good work sencha team! I’m relying on a lot of the user comments to decipher some of the features, so is it possible to reinstate them? If we want to use a Cordova plugin such as the Push Notification one… We can still use Sencha Cmd 4 to package the app for multiple devices or we have to use native SDKs in XCode, Eclipse and so on… or Phonegap Build cloud service? Cardova (PhoneGap) integration and theme enhancements especially Cupertino i07 sound good. But little disappointed that touch grid is available only in the touch bundle!. Well, getting my feet wet with touch 2.3 let’s see how it goes.. Keep up the good work Sencha!!. Is there an update for the Architect to support this new version? @angraxs2 – Yes! 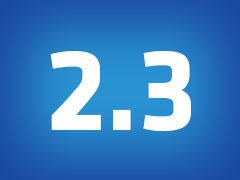 Architect 2.2.3 was made available that supports this version. Note that Touch Grid, which is a part of bundles, is not supported by Architect 2.2.3. The comments on the individual members in the documentation have all disappeared. What happened to them? Oh, my god! It’s so good~~! Cordova support sounds nice, but is an external Cordova plugin-in support also available for local builds? to get dust mites and their waste out of mattresses and pillows. or other related oreck air purifier review, corinthian, neoair enviro plus air purifier neoair plus two, air filters purifiers reviews.